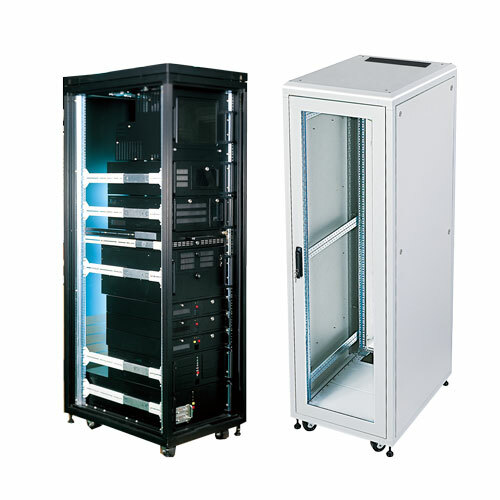 ﻿ 19" Aluminum Server Rack/ Network Cabinet Taiwanese Manufacturer/ Chun Long Technoloby company Ltd. Applications for servers, networking system & monitoring system, such as IBM and INTEL servers. With 19" industrial standard, such as ANSI/EIA-RS-310C/D. Central standard ministry vibration test approve. The extruded aluminum construction, alley #6063, are integrated stability, heavy-loading, over 1200 kgs, and light weight together. A patent pended swing lock protect the system from unauthorized operations. Two entries with brushes on the roof and plinth isolate dusty and keep systems and cable secure. The vented design on the top panel , the bottom panel & the front door can efficiently reduce the interior heat for higher ventilation. 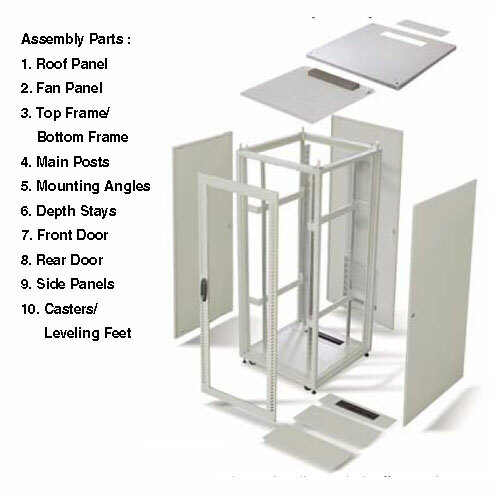 Design of the roof & the plinth for easily assembled & dismantled. Temperated glass on the door can keep security of the system and convenient to monitor the condition without opening the door. Powder coating for RoHS compliant. Black & Beige for color selections. OEM & ODM product are welcomed to contact us. D.I.Y. flat package for saving freight cost and more room. Width Depth Height(mm) Height(U) Model No.